Union Bank of India is one of the country’s leading public sector banks. There are more than 4300 branches and 7000 ATMs across India. 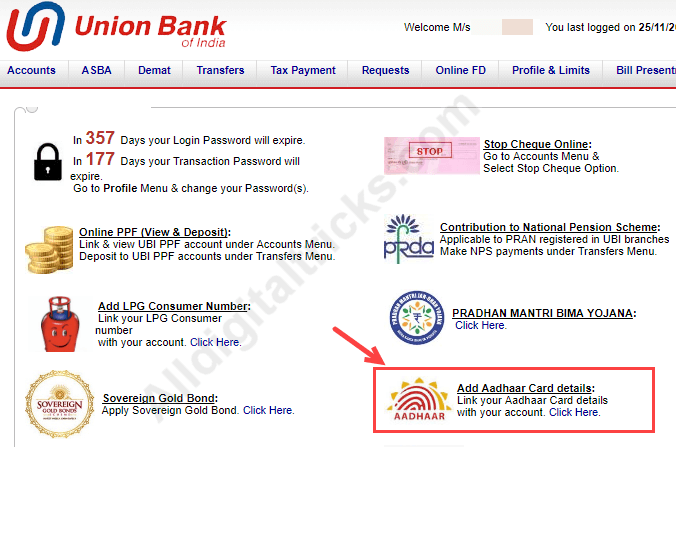 Today we will show you – How to link your Aadhaar card with Union Bank of India account online, without visiting branch. For your information, please note that all bank account holders need to link Aadhaar card with their bank account before December 31, 2017. If you failed to do so, your account will be deactivated. Now let’s see how UBI customers link aadhaar with their bank account. No need to visit bank. Almost all banks provides you online/SMS/ATM facility to link aadhaar with your saving account. Union Bank of India also provides such facility to ease linking process. By visiting below Aadhaar seeding link, you just need to enter Aadhaar & account details and you are done. 1: First of all you have to visit UBI Aadhaar Seeding portal. 2: Now you have to type the information of your bank account and Aadhaar card. Type your bank account number and full name. Now enter your 12-digit aadhaar number and name, as per aadhaar card. Type your mobile number and email address. After submitting request, your aadhaar will be linked to your account within 7 days. With the net banking facility of Union Bank of India, you can login and link your aadhaar to your account. 1: Log in to your Net banking account first. 2: After logging in, you have to click on Add Aadhar Card details: click here. 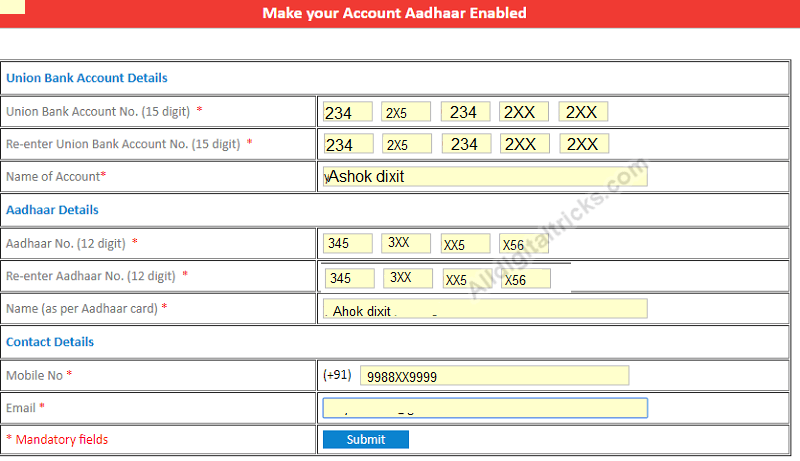 3: In the next screen you have to type your Aadhar number, name, mobile number and then click on submit. 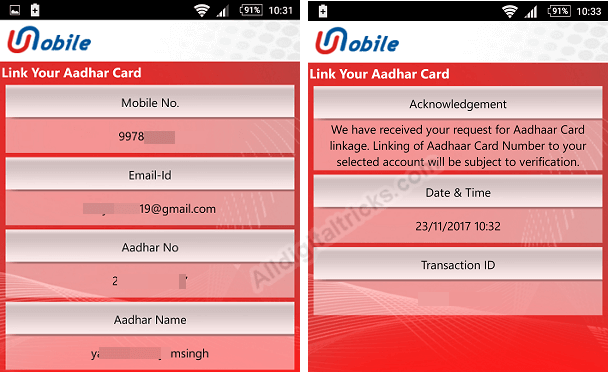 You can use Union Bank of India Mobile banking App – Umobile for Aadhaar seeding. 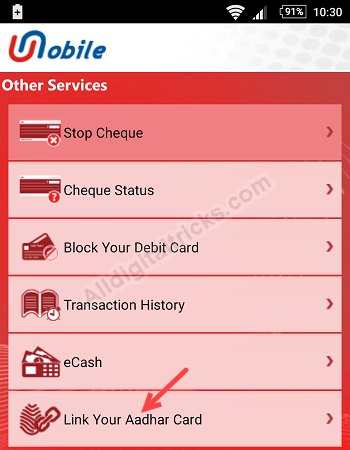 First of all, you have to install the U-Mobile mobile banking application on your phone, this is an official mobile banking application. If you are not register then register first. 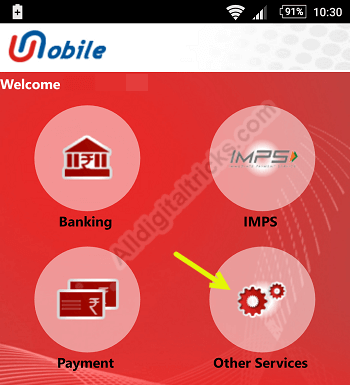 1: Login to U-Mobile and tap on other services. 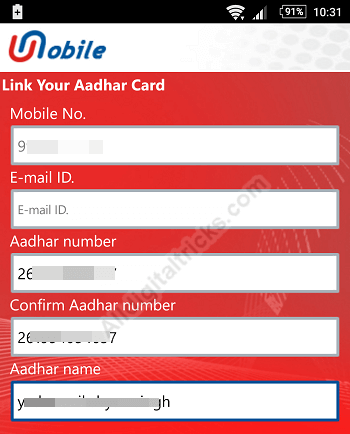 2: In the next screen you have to tap on Link Your Aadhar Card. 3: Now, select your account number and type your Aadhaar number & name, then tap on submit. 4: Now confirm your details and submit it. If you are not frequent Internet user and above methods useless for you then don’t worry, here is very simple method SMS. Yes you just need to send SMS from your registered mobile number. And the last option is ATM. Visit any Union Bank of India, swipe your card – Enter PIN. After login select other services option and then select Link Aadhaar card option. Enter your Aadhaar number and submit. 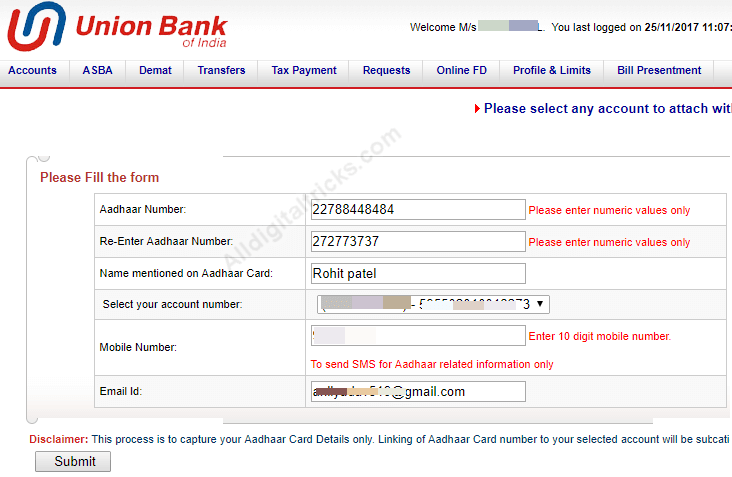 So these are 5 ways to link Aadhaar card with union bank of India account without visiting branch. Complete this task before 31 December 2017 to avoid any difficulty.